Movement breaks are important part of the learning process. They allow room for relaxation and will refresh your mind. Learn about 5 easy and FUN ways to make time for movement breaks and have a more active and relaxing homeschool day! 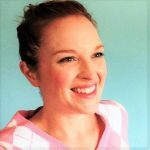 If you are homeschooling a very active child, check out our podcast on Homeschooling the Active Child. 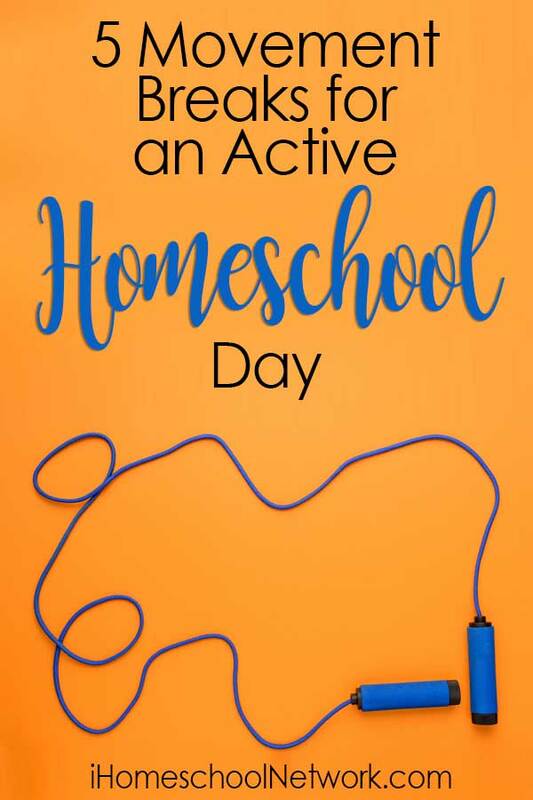 Incorporating movement into your homeschool day can feel daunting – especially if you are not much of an exercise person (like me). Sometimes it might seem like a burden, but remember that active learning and movement breaks allows for a higher retention rate and longer periods of focused concentration. Adding a few breaks for movement to your day is worth it – and with a little practice it will be a welcome part of your routine! Your kids are growing and they need to release their energy! You can also join them in some of these movements – getting up and active will give you more energy! It is good for the mental and physical health of your kids and you. Here are some common and easy movement breaks to plan for a more active homeschool day. Take some time off and take a walk or walk the dog around the neighborhood. This movement break will allow the kids to relax and retain what they just learned. Chat about the book you’re reading. Make plans for your next field trip. Or just relax and enjoy the weather if it’s nice! When you get back to the table (or couch), you will both be ready to continue the learning process. Put on your favorite music and dance it out! Clear some space in the living room to do an Irish jig when you’re learning about Ireland. March around the table with your favorite instruments. What a great way to connect with the kids and shed off the stress we all feel sometimes. A dance break will refresh and invigorate you. You will be more ready to teach, and you kids will be ready to learn once they’ve gotten all the wiggles out! Make it a memorable bonding moment between you and your kids. Work some of the lessons you’re learning into hand-clapping games. Make up a new rhyme, retell a story, or practice math facts! This will allow for a movement break while still getting the concepts taught. This is great for elementary levels who rely heavily on repetition – what a fun way to practice that is not your run-of-the-mill memorization. Make it a routine to start your homeschooling day with physical exercises as a warm-up for your body and mind. Older children can take leadership roles and make a plan for what kind of warm-ups or movement breaks you have throughout the day. Join in the warm-up! This as a family affair! Or let your kids come up with their own ideas! More ways to incorporate movement into your homeschool day! → Have FUN with Handwriting with these Full Body ABC Exercises! Ashley is a homeschooling mama of 3, former elementary teacher, and avid planner fueled by lattes and Florida sunshine. She shares her education and organization resources over at SomeRandomLady.com.